Deutsche Bank is focused on achieving sustainable profitability, a source at Germany’s largest bank said on Thursday, seeking to distance the lender from talk of a merger with rival Commerzbank. A merger may become the only option if Deutsche’s performance does not improve in the first quarter, the report said, citing people briefed on the thinking of executives. 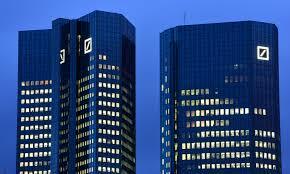 Deutsche shares were down 5 percent at 1350 GMT while Commerzbank was off 6.7 percent. Finance minister Olaf Scholz has spoken in favor of strong banks and his team has met frequently with executives of Deutsche, Commerzbank and major shareholders. Deutsche Bank Chief Executive Officer Christian Sewing has repeatedly said that he was focused on the bank’s “homework” – returning the bank to profitability after three years of losses. On Friday, the bank will report its 2018 results and analysts expect it to deliver its first annual profit since 2014.